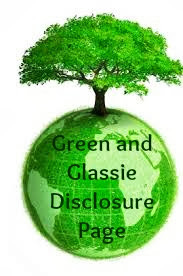 Green and Glassie: GREAT Stocking Stuffers! Every girl loves Chic High Gloss Lip Gloss!!!!! GREAT Stocking Stuffers! Every girl loves Chic High Gloss Lip Gloss!!!!! Check these out! I was given the opportunity to review Carmex's Newest LipBalm MOISTURE PLUS! Comes in 4 great Design tubes! Moisturizing Protection of classic Carmex with the High-Shine of a Lip Gloss! Limited Edition Collection of unique designed lip balm tubes. Are you wondering which design is for you? I am CHIC!! So is Isa! I have to say I do fit into the Chic style. I like simple - I wear mainly black and I am a artist! So why would I not want to spend a Saturday night at a art gallery with friends wearing a black dress! That is ME! Guess that is why right away I picked the Black and White Pattern. Dawn picked the multi swirl colorful pattern ~ WHIMSICAL! She too fits into the Whimsical Girl...she spends her weekends at concerts surrounded by friends wearing Jeans and a colorful T! Amazing that the design fits the person! Fashion and Fun that is what the Limited Edition Lip Balm is all about not to mention a fantastic lip balm. 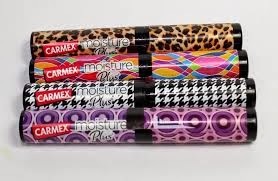 Carmex Moisture Plus is a moisturing lip balm with a sleek dash of style. A satiny clear gloss packed full of Vitamin E, She Butter, and Sun Protection. Perfect for Holiday Gifts! Stocking Stuffers! When you give the gift of Carmex you know that you are giving a high quality lip balm that has been made with quality ingredients and it works! I have been a faithful Carmex user for years! My lips are always soft and ready to tackle the brutal Wisconsin weather. I love the new designs...the designs put a little Zazam into my lip gloss.